4D : Product info for HDMI cable/lead and adaptor for Atrix Lapdock to Raspberry Pi etc. HDMI cable/lead and adaptor for Atrix Lapdock to Raspberry Pi etc. 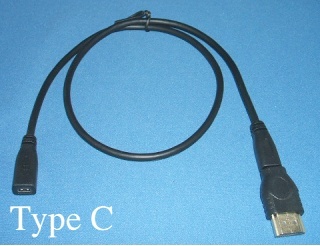 Product Title: HDMI cable/lead and adaptor for Atrix Lapdock to Raspberry Pi etc. 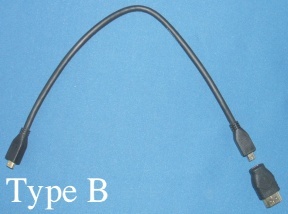 Due to difficulty in supply, the cable and adaptor may be of three types, they all connect a Raspberry Pi's HDMI output to a Motorola Lapdock. Plugging into the Raspberry Pi an HDMI male cable (approximately 50cm) to microHDMI Male, plugged into a microHDMI Female to microHDMI Female which plugs into the LapDocks microHDMI connector. If one loop is put in the cable it becomes an ideal length! Plugging into the Raspberry Pi an HDMI male adaptor to microHDMI Female which connects to a cable (approximately 50cm) microHDMI Male to microHDMI Female. If one loop is put in the cable it becomes an ideal length! If you have a preference as to which type you get please let us know when ordering, please also state if it is a preference or hold order until/if we can supply your choice. Note that if you request a specific cable which is not currently in stock, there may be a long delay before we are able to fulfil your order. Price: £17.00 no VAT to pay!